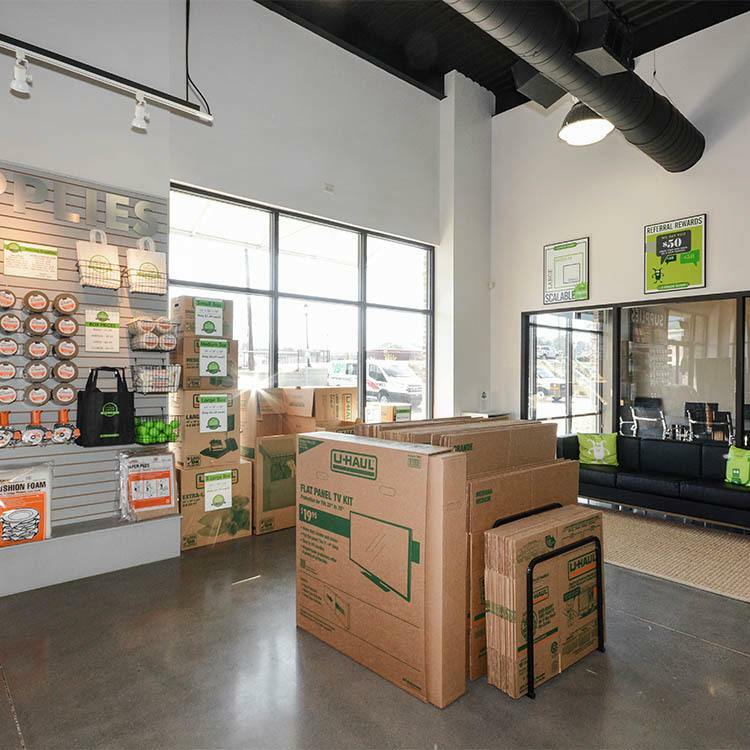 Locally owned and operated, Space Shop is bringing a fresh approach to personal and business storage solutions. We understand that whether you are looking for short-term or long-term storage, you want to work with friendly people at a clean, modern storage facility. Our Storage Centers throughout the Atlanta Metro Area bring all of these things and more to our satisfied customers. Our wide drive aisles can handle large U-Haul moving truck rentals. Moreover, wide doors make loading your items to your storage unit fast and efficient. Space Shop offers commercial storage units for office and warehouse uses. We understand that whether you own a landscaping company or a professional services startup, finding business storage at competitive rates is important for the bottom line. That’s why we offer competitive storage rental rates without the hassles of complex commercial leases. Choose from a wide selection of storage units with wide doors and drive-up access at our ground-level facility.